Over the past week the children have been learning all about Harvest and where our food comes from. 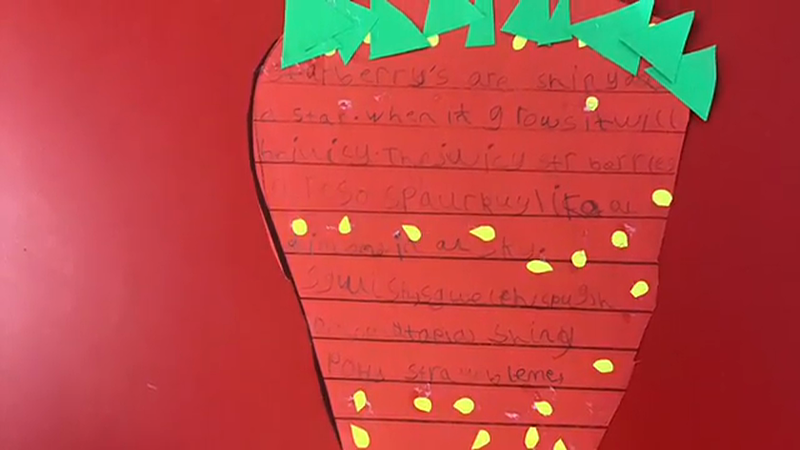 In pairs, they then wrote a descriptive poem about a fruit or vegetable of their choice. They had to include adjectives (describing words eg. lovely), similes (comparisons eg. as shiny as the sun), onomatopoeia (sounds eg. crunch) and alliteration (repetition of a starting sound eg. fabulous fruit). They also learnt a song all about Harvest, which they sung in assembly.